Upscale casual restaurant, live music, 19 beers on tap, reservations, large parties. 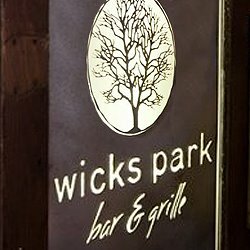 Wicks Park Bar & Grill is located at the corner of Water Street and Mary Street in beautiful downtown Saugatuck across from Wicks Park, a fantastic location to watch boats pass by on the Kalamazoo River. We’ve earned many positive reviews over the years from patrons on Trip Advisor, The Grand Rapids Press, The Holland Sentinel and Urban Spoon – just to name a few – see what others have said about us! Wicks Park is the center of many local events in Saugatuck including Art in the Park, music festivals, and many other occasions.